Last night amid the tinkle of glassware being banged on by knives by my lusty companions, I was asked to reveal my favorite film of all time. Big surprise that it is a classic horror film. The Birds. 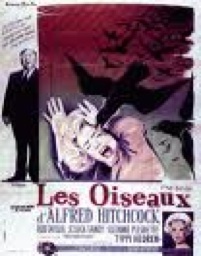 Directed by Alfred Hitchcock and starring Tippie Hedren, it was actually taken from the 1952 Daphne du Maurier novella by the same name. Beautiful Bodega Bay, where it is set, turns extra-eerie as the birds gather in an angry avian convention. Nature strikes back. Where were they when the oil companies were scouting offshore drilling locations? Well that’s the first film that came to mind … still scary. 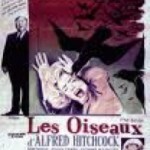 Had forgotten about the Birds – Bodega Bay back then was certainly austere and isolated…must be how you feel as the world pursues you…with Clement at your heels. Thanks for the reminder – thanks for The Slice!